During The Big Africa Cycle Peter helped to fundraise over £15,000 for the Against Malaria Foundation, an organisation helping to prevent malaria through the use of insecticide-treated mosquito nets. This helped purchase over 5000 mosquito nets. Malaria is one of Africa’s biggest killers and a huge impediment to development in many sub-saharan countries. Mosquito nets are the most simple and cost-effective way of preventing the disease. All of the funds raised for the Against Malaria Foundation are used to buy insecticide-treated bednets. 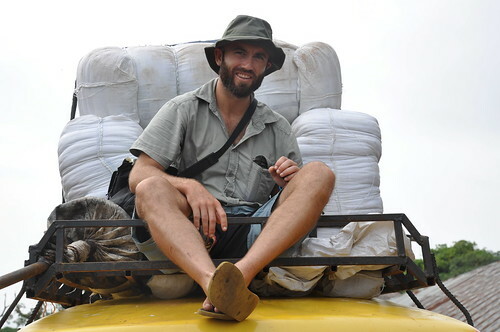 It is for these reasons that Peter chose to support the Against Malaria Foundation, an organisation that consistently ranks highly amongst independent charity watchdogs like GIVEWELL. During the Big Africa Cycle Peter was able to help distribute bednets funded in aid of the journey in both Sierra Leone and Malawi. Post-distribution results from both locations showed a significant drop in the incidence rate of malaria because of these distributions. You can read a case study about this from Malawi here. 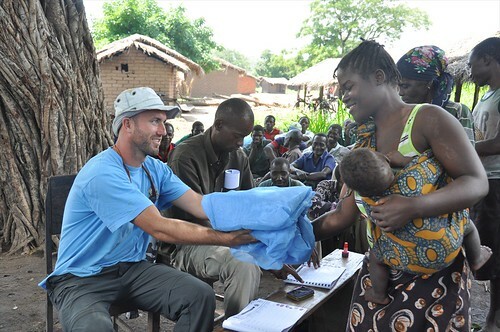 Peter continues to support The Against Malaria Foundation, knowing that the correct and continued use of bednets in Africa makes a positive difference in lowering the incidence rate of malaria. If you would like to support the Against Malaria Foundation, please do so here.